We’d love your help. Let us know what’s wrong with this preview of HAHA rain Volume 1 by Charles C. Martin. 1. Lesson Magic: Little Timmy is getting picked on at school. The bullies were having a great time until Momma busts out some Lesson Magic on them. 2. The Cave Conquerors: Kevin and Caroline venture into the neighborhood cave to discover a giant cupcake. Instead they find something even crazier. 3. Floofy The flooferton: A lazy, spoiled squirrel learns a lesson the hard way. 4. Lucy the Sky Princess: Lucy discovers her potential and power. 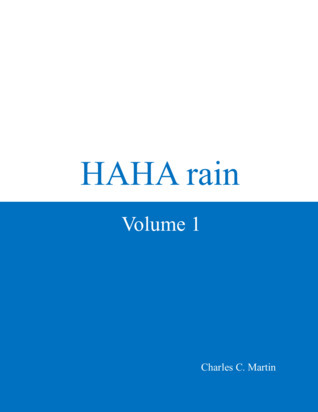 To ask other readers questions about HAHA rain Volume 1, please sign up. I'm from South Louisiana. I love the ocean, outdoors, playing with my kids, and good stories.